Diabetes is a chronic disease where the pancreas fails to produce sufficient amounts of insulin, a hormone which regulates the blood sugar levels in the body. As this hormone is not produced in adequate quantities, it fails to regulate the blood sugar levels and it goes on accumulating in the blood. This condition of increasing blood sugar levels is known as hyperglycemia. The increase in the blood sugar levels marks the beginning of several warnings. In this article, you will be able to take a look at some of the signs of diabetes, which are seen in majority of people suffering from diabetes. 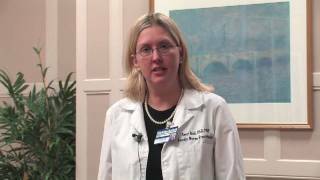 However, the diabetes signs are very slow to appear and quite often a person suffering from diabetes might experience these signs in a gradual manner and sometimes they might also appear normal thereby leading to a misdiagnosis of diabetes. 1. Frequent urination: This is one of the most common diabetes signs seen in majority of people suffering from diabetes. People tend to drink more water as all the fluids get absorbed very quickly. And, as a result of excessive drinking of water, people with diabetes also urinate more often than usual. 2. Apart from frequent urination, a person also feels excessive thirsty and hungry. This is mainly because the cells don’t receive the required amount of energy they need. So in order to continue to function normally, the body develops excessive thirst and hunger which leads to diabetes patients eating more than usual. 3. Symptoms similar to the flu: People having diabetes often feel like they are suffering from a flu. They experience a loss of appetite and general weakness and fatigue as the cells are deprived of the main energy source, glucose. 4. Weight gain or weight loss: This is one of the common signs of diabetes. In this case, the body tries to compensate for the loss of sugar and blood from the body and the person feels hungry and ends up eating too much and leading to weight gain. However, the opposite could also happen, so that the diabetes patient actually loses weight despite eating so much more and following the prescribed diabetes diet. 5. Slow healing wounds: People suffering from diabetes frequently experience various types of infections which take longer time to heal as compared to the healthy men and women. 6. Red, swollen and tender gums: This is one of the very important signs of diabetes that should be carefully monitored. Diabetes increases the risks of infections in the gums and might make the teeth loose. The more complicated scenarios lead to the development of pus and sores in gums. This condition is more prevalent in people who already had a history of gum infections even before developing diabetes. 7. Blurriness in one or both eyes: This is another common sign that might indicate the onset of diabetes. This is mainly because the cells and tissue in and around the eye do not contain enough fluids. This in turn reduces the eye's ability to focus and, as the consequence, women suffer from blurred vision. However, the vision improves once the person is able to control the blood sugar levels in the body. 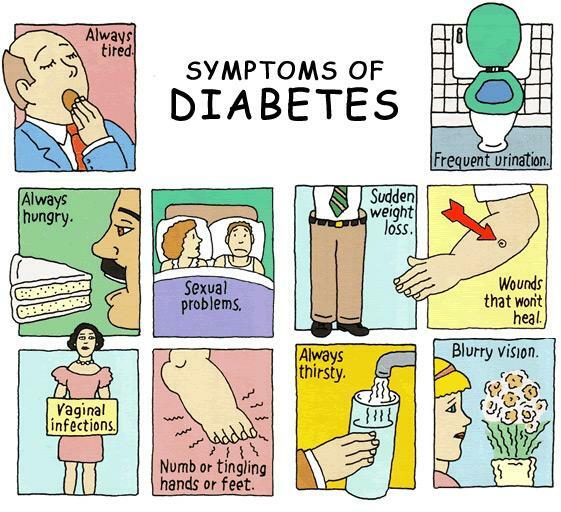 These were some of the most common signs of diabetes that should give you a pretty good indication to visit your doctor. A fairly simply battery of tests are available that will help to determine if you are diagnosed with diabetes or not. Even if your results come back as positive, there is no need to panic – because diabetes can be controlled. With a proper diet and exercise regime, you can easily keep your diabetes under control and continue to lead a normal life. However – do not wait for too long if you are experiencing any of these signs of diabetes, immediately visit a doctor and find out ways through which you can control your diabetes before it is too late.